Fill out the form with any questions or inquiries you have for the sales consultants at Uptown at Seven Bridges. You can also call or chat with us for immediate responses. The Skyline is a stylish townhome that appeals to anyone who loves to entertain with its open design and kitchen with large island. Kids can get homework done in the Planning Center while dinner is in the works. The first floor flex can easily serve as a man cave, play room, or home office. 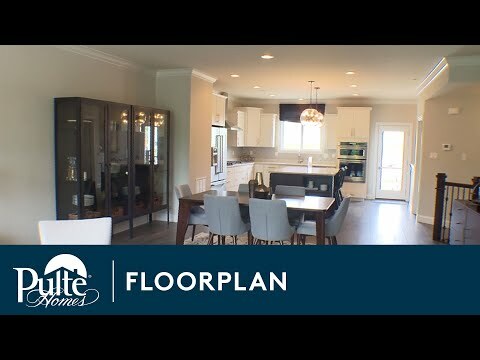 Step inside Skyline to see the Life-Tested Home Designs® with more usable space where you want it most. So you live the way you want to live. The Skyline boasts 3 floors of luxury townhome living with a spacious kitchen that connects right to the large outdoor deck. The chef of the family will love upgrading to built-in appliances for easy meal prep. The Pulte Planning Center® off the kitchen is the perfect place to pay bills and stay organized. The Skyline appeals to anyone who loves to entertain with its open design and large island. Kids can get homework done in the Planning Center while dinner is in the works. The first floor flex can serve as a man cave, play room, or home office. The Preferred Package includes stainless steel appliances and granite countertops. The Prestige Package includes a kitchen convenience package and upgraded trim throughout the home. The Preferred Plus Package includes a double oven and recessed can lighting.